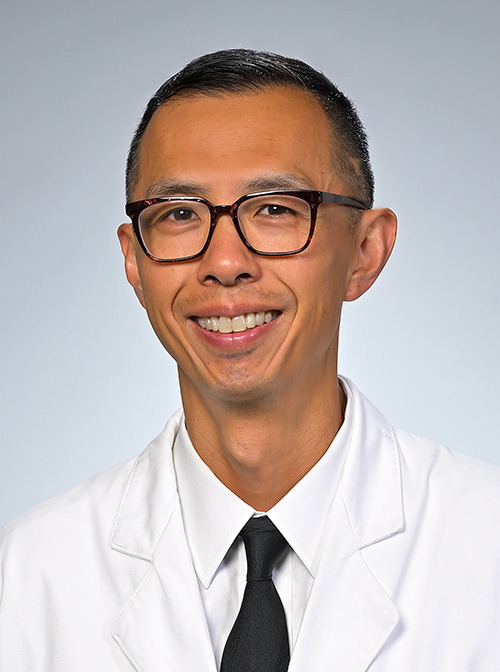 Alexander Lin, M.D., is Associate Professor in the Department of Radiation Oncology at the Perelman School of Medicine, and the Medical Director of the Roberts Proton Therapy Center at the University of Pennsylvania. 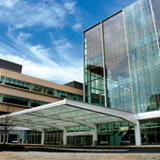 Dr. Lin leads research programs in personalized approaches in the multidisciplinary treatment of head and neck cancer. Dr. Lin leads studies in novel methods of toxicity mitigation in patients with Human Papillomavirus (HPV)-associated cancers of the oropharynx. He also specializes in clinical trials investigating new radiosensitizing agents targeting the tumor microenvironment to improve disease outcomes, for which he receives funding from the National Cancer Institute (NCI) and National Institutes of Health (NIH). Dr. Lin completed his undergraduate studies at Yale University and his medical training at the University of Michigan. He is a board-certified radiation oncologist and practicing physician at the University of Pennsylvania, Perelman School of Medicine. Men K, Geng H, Cheng C, Zhong H, Huang M, Fan Y, Plastaras JP, Lin A, Xiao Y: More accurate and efficient segmentation of organs-at-risk in radiotherapy with Convolutional Neural Networks Cascades Medical Physics 46 (1): 286-292,2019. Aggarwal C, Cohen RB, Morrow MP, Kraynak KA, Sylvester AJ, Knoblock DM, Bauml J, Weinstein GS, Lin A, Boyer J, Sakata L, Tan S, Anton A, Dickerson K, Mangrolia D, Vang R, Dallas M, Oyola S, Duff S, Esser MT, Kumar R, Weiner DB, Csiki I, and Bagarazzi M: Immunotherapy targeting HPV 16/18 generates potent immune responses in HPV-Associated Head and Neck Cancer Clinical Cancer Research 25 (1): 110-124,2019. Huang S, Souris K, Li S, Kang M, Montero AMB, Janssens G, Lin A, Garver E, Ainsley C, Taylor P, Xiao Y, Lin L: Validation and application of a fast Monte Carlo algorithm for assessing the clinical impact of approximations in analytical dose calculations for pencil beam scanning proton therapy Medical Physics 45 (12): 5631-5642,2018 . Li T, Scheuermann R, Lin A, Teo BK, Zou W, Swisher-McClure S, Alonso-Basanta M, Lukens JN, Ghiam AF, Kennedy C, Kim MM, Mihailidis D, Metz JM, Dong L: Impact of Multi-leaf Collimator Parameters on Head and Neck Plan Quality and Delivery: A Comparison between Halcyon and Truebeam Treatment Delivery Systems Cureus : e3648,2018. Sharma S, Zhou O, Thompson R, Gabriel P, Chalian A, Rassekh C, Weinstein GS, O'Malley Jr. BW, Aggarwal C, Bauml J, Cohen RB, Lukens JN, Swisher-McClure S, Ghiam AF, Ahn PH, Lin A: Quality of Life of Postoperative Photon Versus Proton Radiotherapy for Oropharynx Cancer International Journal of Particle Therapy 5 (2): 1-10,2018. LaRiviere MJ, O'Reilly SE, Ghiam AF, Swisher-McClure SD, Lin A, Teo BKK, Lukens JN: Clinically Significant Organ-at-risk Dose Reductions Are Achieved with IMRT Plan Optimization to Clinical Target Volume (CTV) with Setup Uncertainty Analysis International Journal of Radiation Oncology, Biology, Physics 102 (3, Supplement): e529,2018. Schonewolf CA, Chao HH, Guttmann DM, Swisher-McClure SD, Ghiam AF, Lin A, Lukens JN: Margin Status, Lymphovascular Invasion, and Number of Neck Levels Involved Predict Distant Failure in p16+ Oropharyngeal Squamous Cell Carcinoma (OPSCC) Following Transoral Robotic Surgery (TORS) International Journal of Radiation Oncology, Biology, Physics 102 (3, Supplement): S23,2018. Chao HH, Schonewolf CA, Lukens JN, Swisher-McClure SD, Ghiam AF, Lin A: Outcomes for Oropharyngeal Squamous Cell Carcinoma (OPSCC) Following Transoral Robotic Surgery (TORS) International Journal of Radiation Oncology, Biology, Physics 102 (3, Supplement): e234–e235,2018. Huang S, Souris K, Li S, Kang M, Janssens G, Lin A, Garver EH, Ainsley C, Xiao Y, Lin L: Assessment of Clinical Impact of Analytical Dose Calculation in TPS for Proton PBS Treatment Using Fast Monte Carlo Simulation International Journal of Radiation Oncology, Biology, Physics 102 (3, Supplement): S57–S58,2018. Margalit DN and Lin A: Two Sides of the Same Coin: Head and Neck Cancer Treatment De-Intensification and Intensification with Induction Chemotherapy Interanational Journal of Radiation Oncology, Biology, Physics 102 (1): 1-4,2018.